If you need a great gift for a teen girl who LOVES unicorns, this is the gift guide for you! Almost all girls love unicorns, they are funtastic! Picking a unicorn gift for a teen girl is a sure way to give her a big smile as she unwraps her gift this holiday season! This list has things to wear, things to make and functional gifts that mix in a lot of fun! I am a participant in the amazon affiliate program. If you make a purchase I will earn a small commission at no cost to you. 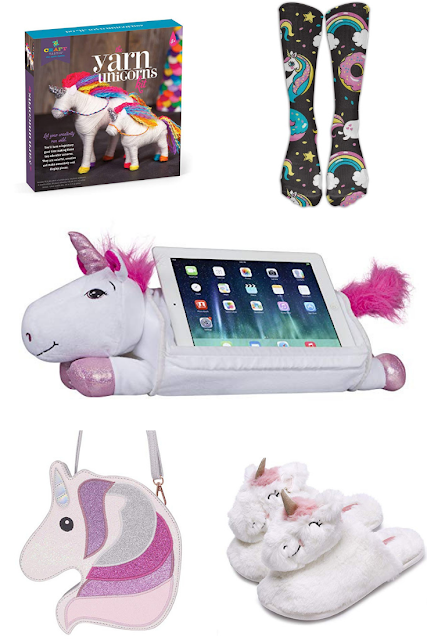 Which of these unicorn gifts seem like the best idea for a teen girl you know and love this Christmas? I would love to hear which one you would buy first!